Currently being used as a smog shop and Auto dealership now is your chance to start your own business or expand your current shop. The building consists of two areas one that could be used for retail, or parts shop with a separate office and counter area. There is also an upstairs storage or office. There is an automotive bay that is ready for a lift to be installed. 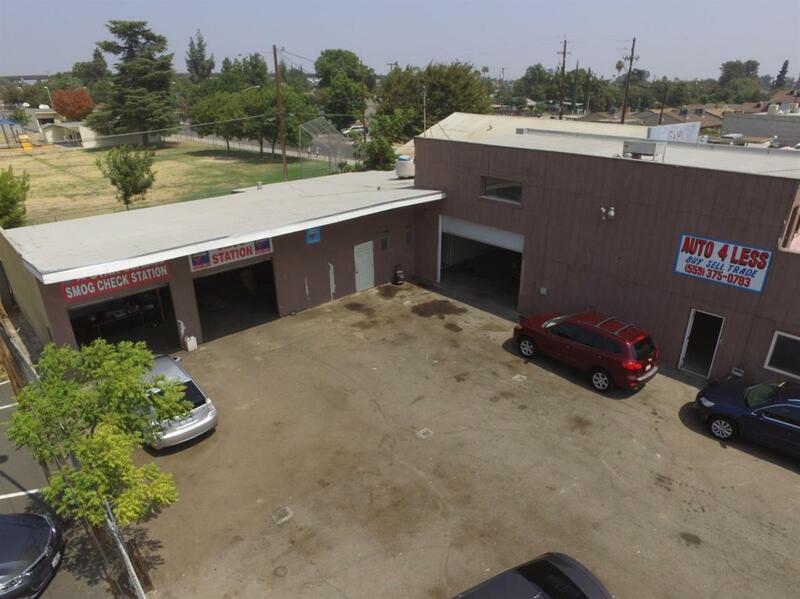 The smog shop has two current bays with the possibility of a third. There is a separate office and several areas for storage or expansion. The business is located on a high traffic street with great exposure. Listing provided courtesy of Earl Satterfield of London Properties, Ltd..